So I did a their Kickoff Sale, then I did their Summer Rollback Sale, so I guess I should just go ahead and post Walmart's Red Hot Summer Clearance. It feels like it's a bit early, but there are thousands of deals here, so I'll keep my guessing to myself. 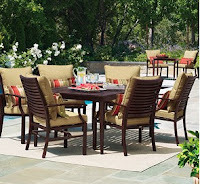 Choose from apparel, electronics, patio and garden, toys, sports/recreation, home items, jewelry, tools, and more. I recommend it for back-to-school shopping or buying that random summer item (pools, squirt guns, outdoor furniture) since those are the most discounted. Click here to view the summer clearance at Walmart.